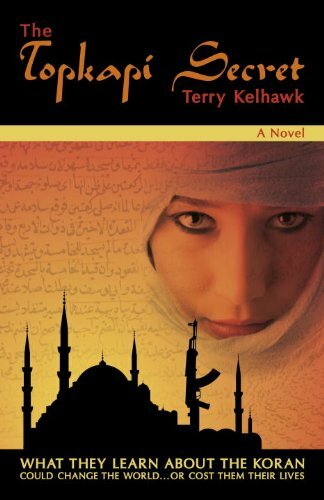 The Topkapi Secret by Terry Kelhawk is a suspense about a 1400-year-old deadly secret leading to the real truth of the Coran. Check it out! All who tried to expose this secret have died. This is the story of a chase through Arabian lands to reveal proof hidden in an ancient codex. When Arab researcher Mohammed Atareek and American Professor Angela Hall meet the impact of cultures leads to a dazzling race of death. The truth might be just after the turn of a page along with certain death. The Topkapi Secret is a captivating story of global conspiracy, puzzle, and deception. Very well researched, the story will take you across America, Europe and Arabic exotic settings in a mystery that throws light on historical myths about the Koran’s original text. So, if you want to feel the cultures of the Middle East, experience a thriller that will make you confront one of the most intriguing deceptions in history, read The Topkapi Secret. Terry Kelhawk is an award-winning lecturer, author, and academic. She holds a doctorate and has important particular and acknowledged acquaintance with Middle Eastern cultures. This is a fine piece of fiction and as such should be read and savored. If we start entering in the merit of if the plot is for real or not, we will be traveling in dangerous waters and, not being a muslin, I don't think I have any rights to put question marks on their faith. When I read "The DaVinci Code", I just assumed it to be a work of fiction and nothing more than that. I never considered it to be a challenge to my faith. I want to believe that the potential readers of this book are adult enough to realize they must read it as a work of fiction and nothing beyond that. If you do that, you will be able to enjoy a magnificent novel. The author split the book into small chapters. That is very convenient if you need to stop reading in a short notice. Also, if it ever makes into Hollywood, it is a useful suggestion of a scene breaker to inspire a script. Also, the author does a magnificent job describing the characters and places in such manner to involve the reader completely; We cheer for our heroes on every turn of the pages. So, I recommend this fast paced action story to the permanent library of any mystery book lover. Glass Road Public Relations through Rebeca Seitz was kind enough to provide me a copy for an uncompromised review. Your comments will be highly appreciated. Please feel free to enrich our discussion with them. So is it similar to “The DaVinci Code” in terms of writing, or is it different? Would it interest the people who love history? Also, as I understood from the rating you’ve given it, the book is not very easy to read. How long does it take to finish it and is it readable, for example, in transport (subway, bus, etc.)? Our readability rating regards to the style of the writer; Does he use too many difficult terms. Are the constructions simple? Does the author have a good writing ability to communicate with the general public? Our rating is average, which means that the book is easy enough to read, but nothing ingenious about it. Average. A think the general concept of the story is similar to “The DaVinci Code” in some points and not in others. this seems like a very intriguing read. i’ve been meaning to learn more about the middle east and the history behind the region and its main religion too. so this could be a fictional way to ease me into things. thanks again for the share and best of luck with your book reviews. Thanks for sharing your opinion and support, Jerry. Cheers!